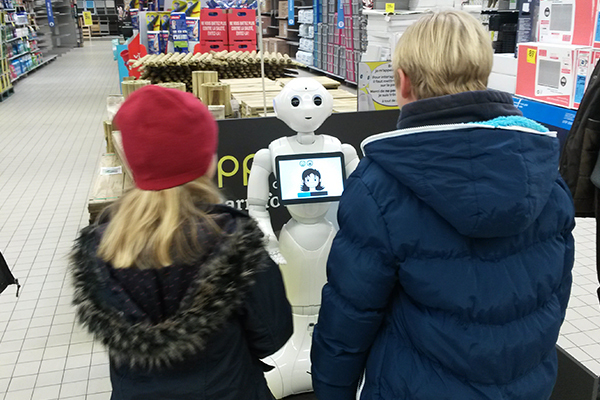 What if you could deploy Pepper in your business in only few days whatever your activity? 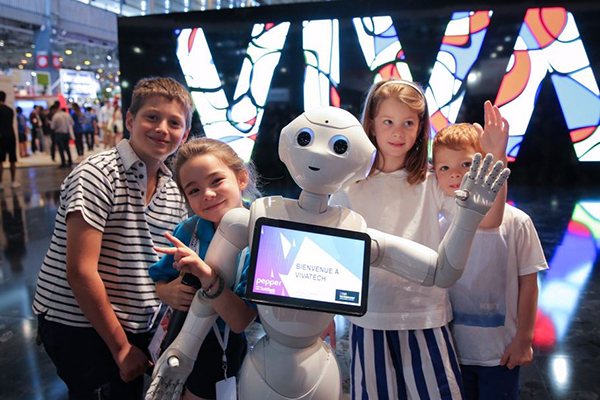 Pepper4Services, is an intuitive CMS (Content Management System) dedicated to Pepper and now used by more than 200 robots worldwide. From retail to services area, this ready-to-use solution enables Pepper to simply and quickly create and manage all the contents (speech, gesture and tablet display) from a unique Web interface. 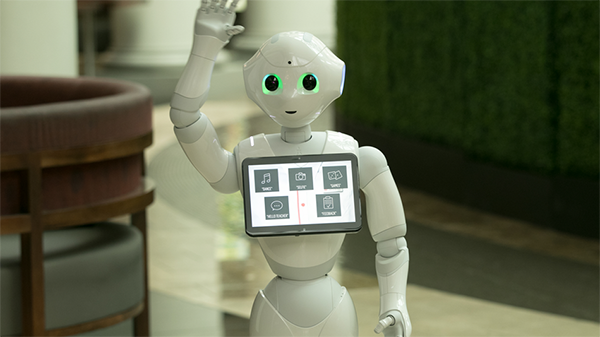 Important announcement: Pepper4Services belongs to Softbank Robotics now, if you need to purchase a license, please contact SBRE directly. What can I do with P4S? Conduct satisfaction survey and improve your quality of service! In addition to P4S, we provide several entertaining applications to enhance experience between Pepper and your customers. These applications are available in English, French, Spanish, German and Italian. ➔ Akinator The Web Genius : Adapted from the famous mobile application designed by Elokence, Pepper guesses a real or a fictional character you think about and has to find it in less than 20 questions. 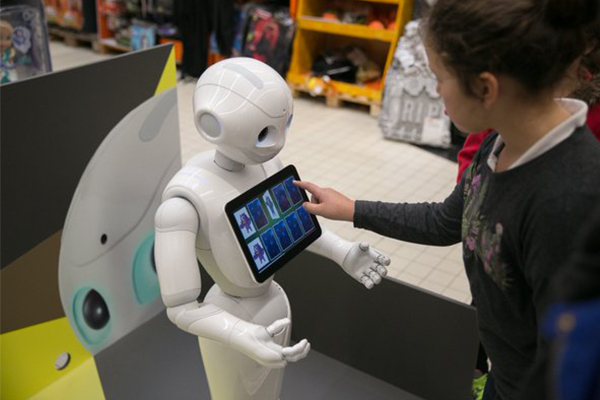 ➔ Memory Game (Customizable) : This adaptation on Pepper offers a touchscreen interaction with the robot. Pepper displays on its tablet a composition of 5 pairs of identical cards with illustrations. The goal is to discover the 5 pairs before a defined time. ➔ Selfie application (Customizable) : This is a great way to capture your first meet with Pepper and leave with unforgettable memories! Pepper proposes to chose between three poses. 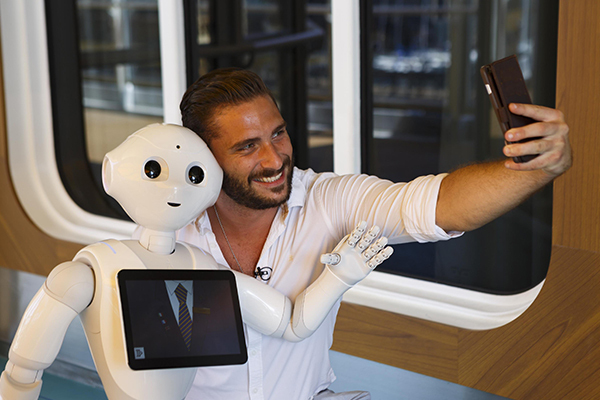 Once the pose chosen, people have to go behind the robot to take a selfie with their smartphone. ➔ Smile Game : This application capitalizes on the robot’s emotion recognition capabilities and especially your smile. The rules are very simple. Pepper asks you to smile in three different ways. If the smile is well done, Pepper fulfills his energy gauge, giving you one point. The game is won when you reach three points. In this challenge, Pepper will surprise you a lot!